The herb Borage – Borago officinalis, StarFlower, has stunning Blue-for-bees flowers! Thanks to Ask a Prepper for this lovely image! Borage, aka StarFlower, is grown commercially for its seed oil, but is also a heavenly, cheerful, prolifically blooming plant to dress up your winter/spring home garden! Look at all those buds! It isn’t stopping anytime soon either! This herb is the highest known plant source of gamma-linolenic acid (an Omega 6 fatty acid, also known as GLA – an anti-inflammatory) and the seed oil is often marketed as a GLA supplement. It is also a source of B vitamins, beta-carotene, fiber, choline, and, of course, trace minerals. In alternative medicine it is used for stimulating breast milk production and as an adrenal gland tonic used to relieve stress. Borage is thought to have originated in North Africa, went up through Spain, and is now a common warm climate Mediterranean plant. For us SoCal gardeners that means it is right at home here in our Mediterranean climate. It likes our ‘winter’ and grows happily through midsummer. By late summer it looks a little tired and most gardeners pull it. The magical Star shaped flowers are a bonus to us humans. Don’t be surprised if occasionally there are pink blossoms among your blue blossoms, on the same plant at the same time, or some flowers that are blue and pink! Sometimes blue ones turn pink! Your prolific plant will produce 100s of flowers during its life! Healthy Borage, Borago officinalis, can take up a fair footprint, 2 to 3′ wide, so allow enough space unless you don’t mind clipping it back. However, it is a tad prickly, so you might want to use gloves when you do. Since it gets 2 – 3′ high, place it so it doesn’t shade out other shorter plants like strawberries. It prospers in full sun, even partial shade. Sandy soil is its favorite, some say rich soil, but it adapts to most anywhere as long as there is good drainage. Adding compost gives more flowers! Seeds do well planted 1/4 to 1/2″ deep. But when covered by the mother foliage, it self-seeds readily. You will have little plants to give away! If you are in a cold zone, sow seeds indoors 3-4 weeks before the last average frost date. Barely cover the seeds and keep them moist. At about 3″ tall, pop them in the ground! During the season, moist is good; soggy is not. When they start to bloom, fertilize with a high phosphorus organic fertilizer. If the flowers drop back later, do it again. It’s work, but if you want a shorter plant, pinch and prune to encourage branching. It can stand a tad of frost. One of its old names was Lungwort, the leaves thought to look like lungs. Due to its fuzzy nature, Borage has no pests. Another name for it has been common bugloss, bugloss – we like that! And I’ve never seen it with any diseases. Every part of this plant is fuzzy except for those pretty little baby naked flowers! It’s a pollinator’s paradise and blue is one of Bees’ favorite colors! Borage is a valuable companion plant because it brings bees and is a good honey plant! Two of its common names are Bee Plant & Beebread! More bees, more strawberries! Grow some of the bees’ other favorite blue flowers as well – Agapanthus, anise hyssop, crocus, hyacinth, salvias, blue spirea, germander, bog sage, obedient plant, and many others. Your garden will literally be humming. COMPANION! Borage also repels pests such as hornworms, Japanese Beetles, cabbage worms and moths! It aids plants it is interplanted with by increasing resistance to pests and disease. It is also helpful to, and compatible with, most plants, but especially tomatoes, strawberries and squash. Forget the corners and borders! Plant this beauty right in the middle of your garden, between plants, so it can do the most good! SEEDSAVING! Self seeds like crazy! The seeds in the image have broken loose, but not yet fallen. Generally there are four black/brown nutlets. They know how to hide in plain sight, the same color as your soil. Expect babies you can transplant or giveaway. Be careful with that – Borage has a taproot, so dig deep enough not to damage it. Transplant early, at 3 to 4″, while that taproot is still short. If you are just starting, get your seeds early spring before the seed houses run out! Pros & Cons: WebMD Watch out for those PAs! Use only products that are certified and labeled PA-free. Martha Stewart’s Gently Steamed Fish with Cucumber, Borage, and Tahini Sauce with sprigs of Cilantro flowers. EDIBLE! Toss some of those magical sweet flowers on top of your salads to make Borage beauty! This herb can be used in soups, young leaves in salads, dried leaves brewed hot in teas, borage-lemonade, strawberry-borage cocktails, preserves, borage jelly, dips, various sauces, cooked as a stand-alone vegetable, or used in desserts in the form of fresh or candied flowers, flowers frozen in ice cubes to float in your lemonade or cocktails (especially in Pimms Cup – see the very last paragraph of the Pimms post)! If you are Italian, wilt some cut up leaves in a fry pan with olive oil and garlic, cool, roll into little patties, dip in batter and make fritters! Or stuff your ravioli with Borage paste. If you are a beekeeper, leave those flowers alone so you will get Borage Honey! If you don’t want it in your veggie garden or to use it for food or medicinal purposes, grow it in your Butterfly Garden! The more common names a plant has, and Borage has many, the more uses it serves, the more loved it is, and the more widespread it is! Borage is beautiful, edible, brings and is food for bees, is a valued companion plant for several reasons, is medicinal, and with that tap root, even makes nutritious compost! In the right location, a row can be a living windbreak. If you want to, you can do business and grow it for its oil! In Permaculture terms serving many functions is called Stacking. Bee glorious! Plant some Borage! How quickly could you put this together, or something close to it, plus planted for good summer crops this year?! With or without finished paths wheelbarrow wide. The possibilities are endless! Last chance to design, make changes to your summer garden layout! March is often first plantings, if not, it is last soil preps before full on April plantings! Many of the last days of February 2019 in Santa Barbara area were rainy and frosty! 8 AM Feb 23 the soil temp at Rancheria Community Garden was 40 F! That’s plenty chill and several plants were laying down. Many gardeners are waiting to plant. I haven’t seen any early toms, corn, o rzukes, nor beans yet. Even the Oats one gardener is growing are growing quite slowly. Good choice to wait a bit. Soon the planties will be growing quickly! In the extremes of weather conditions we have been having be prepared for a hot summer! Select heat tolerant varieties of seeds and transplants. Day lengths are still short. We want Night air temps steadily above 50 and soil temps 60 to 65 for starting our plants well. Peppers, especially need these warmer temps. They do best with nighttime temps above 55°F and soil temps above 65°F. Average March night temps are in the mid 40s. Start MORE seedlings indoors NOW for late April/early May plantings – eggplant, peppers, and more tomatoes for transplanting into the garden in late April or early May. Also sow cucumbers, squash and sweet potatoes. The beauty of seeds is you can plant exactly what and how many you want! If seeds and tending seedlings aren’t for you, get transplants and pop them in the ground per their right times! Plant Winter squash now so it will have a long enough season to harden for harvest and be done in time for early fall planting. APRIL is true heat lovers time! Eggplant, limas, melons (wait until MAY for cantaloupe), peppers, pumpkins and squash! Many wait until April, even May or June, to plant tomatoes. Wait until the soil has warmed to 70°F before planting squash and melons. Some gardeners wait until JUNE to plant okra. It really likes heat and grows quickly when happy. Choose faster maturing varieties for coastal SoCal. If YOU anticipate a HOT summer, plant a tad earlier, but be prepared to deal with it if summer is overcast as often is the case after all. With our warming temp trends, get bolt resistant/slow bolt varieties, heat, and especially drought tolerant varieties. Right now plant pepper transplants (at the right temps) and cold tolerant, early varieties if available. If you love your peppers and want some early, or have a short growing season, next year order seeds for ones that mature quickly and are cool weather adapted! Plant those transplants in the ground first and others more heat tolerant soon after to carry the length of the season. For cold tolerant sweet bell peppers, get seed for Ace, Lady Bell or King of the North! Obriy Ukrainian sweet red pepper is both cold and heat tolerant! For hotties that don’t mind cold, order up Early Jalapeno, Hungarian Hot Wax or Anaheim. Rocoto stands some cold but not a hard freeze. Manzano are reported to survive at 20°! The extraordinary feature of these two peppers, Capsicum pubescens (hairy leaves), is they grow into four-meter woody plants relatively quickly, and live up to 15 years! Truly sustainable! Now we need a bell pepper that can do that! If cold weather can happen anytime where you live, grow your peppers in pots; take them inside when it gets cold. Keep them on a cart or put the pots on roller wheels. Plant determinate quick maturing tomatoes – start with small fruited varieties and cherry toms – for soonest tomatoes for your table! The moist soil at Santa Barbara’s community gardens has residues of Verticillium and Fusarium wilts, so some gardeners wait until warmer drier June soil to plant tomatoes and other veggies that are wilts susceptible – but remember, those fungi are also windborne. You can delay it, make it less, but not prevent or stop it. Cucumbers are especially susceptible and do quickly die from it, so if you love cukes, be prepared to plant 2nd and 3rd rounds, but do these successive rounds in different places! See more about how to avoid or slow down wilt and fungi problems! See more about selecting tomatoes! Outdoors sow or transplant beets, carrots, celery, chard, herbs, Jerusalem artichokes, kale, kohlrabi, leeks, lettuces, green onions, bulb onion seed and sets (be sure to get summer maturing varieties), parsley, peas, peanuts (they do grow here! ), potatoes, radishes, shallots, spinach, strawberries, and turnips. Transplant broccoli, Brussels sprouts, cabbage, cauliflower, and kohlrabi seedlings. Time for heat tolerant, bolt and tipburn resistant lettuces of all kinds! The fabulous ruffly Green Star, Sierra, Nevada, Jericho, Black Seeded Simpson are some. Tips for super Successful Transplanting! PLANT PLANTS THAT REPEL PESTS IN ADVANCE SO THEY WILL BE UP AND WORKING WHEN YOUR SEEDLINGS COME UP OR YOU INSTALL YOUR TRANSPLANTS! Those are radish, cilantro, potatoes, borage. Beans, Cukes, Dill, RADISH Combo! Depending on ground temps, tuck in some bean seeds where the peas are finishing, intermingled with cucumber seeds that will grow low along the trellis, below the beans, plus a few dill to go with the cukes! See more for bean/cuke planting tips. Plant radishes with the cukes to deter the Cucumber beetles. Borage repels tomato hornworm and is especially good with tomatoes, strawberries and squash! Tomato Tips: La Sumida has the largest tomato selection in the Santa Barbara area! Heirlooms are particularly susceptible to the wilts, Fusarium and Verticillium. Instead, get varieties that have VFN or VF on the tag at the nursery. The V is for Verticillium, the F Fusarium wilt, N nematodes. Ace, Early Girl, Champion, Celebrity, are some that are wilt resistant/tolerant. In these drought conditions, consider getting only indeterminates. This is the LAST MONTH to transplant artichokes, asparagus, broccoli, Brussels sprouts, cabbage, cauliflower, kale; also strawberry, blackberry, and raspberry roots so they’ll bear fruit well this year. Succession planting makes such good sense. Put your seeds and transplants in at the same time. Seedlings will come along 6 to 8 weeks behind your transplants so you have a steady supply of yummy veggies! But if tending seedlings isn’t your cup of tea, just leave space and put in more transplants in 6 to 8 weeks after your first planting. It is perfect to put in fast growers like lettuce, beets, turnips, arugula, to hold space until you are ready to plant bigger plants. When it’s time for the bigger ones, clear a space/harvest, pop in your seeds or transplants and let them grow up among the space holders. As the bigger plants start to shade out the littles, remove lower leaves so the littles get light too! The smaller plants act as living mulch under the bigger plants. No need to plant smaller plants in rows of their own. Think circles and understory! Plant them around and under the bigger plants! If you anticipate a HOT summer, plant heat sensitive littles only on the morning or shady side of larger plants. Put in borders of slow but low growers like carrots, mini cabbages, in more permanent places, like on what will become the morning side of taller backdrop plants like peppers and eggplant. Depending on what legumes you choose, figure 3 1/2 +/- to grow another round of green manure to enrich your soil Nitrogen. In warming weather and longer days, it grows faster. In 6 weeks to two months chop it down and chop up. Give it 2 days to 2 weeks to decompose on the surface, keeping it moist. Add amendments, turn it all under, allow 3 weeks to a month for it to integrate with your soil, and the area will be ready to plant again. Or, dig your planting holes as soon as you turn it under, put in some fine compost, a smidge of manure, your other favorite amendments like worm castings, bone meal, a mineral mix, and plant! The rest of the area will take care of itself! See much more – Living Mulch/Green Manure! Consider not growing kale or chard over summer. Kale will grow, but really is happiest in Winter. If you harvest a lot of your kale in summer, it often has smaller dry looking leaves growing at the top of a tortured spindly stalk. I’ve seen them over 5′ tall. The leaves get tough, lack robust flavor, and lack that cool weather vibrance. Fertilizing, watering really don’t do much at this point because the plant is just trying to survive. A different strategy is to harvest a lot less early on, let your plant branch and become bushy! Then you can harvest at several points, and the plant provides its own living mulch. Huge difference. Or maybe you need to plant a lot more kales so you don’t over harvest individual plants! This is one kale plant in the image below! It has made all these branches, harvest points, by April at Pilgrim Terrace Community Garden! Look at that abundance! It thrives all summer! Chard suffers. It droops from midday heat, recovers, droops, recovers each day. That’s hard on a plant. It doesn’t produce much. Doesn’t seem reasonable to harvest when it is trying to stay alive. If you do choose to grow it, plant it where it will have a little shade in the hottest part of the day in summer or install some shade cloth for it. Plant shallow rooted living mulch plants around it. Keep it evenly moist. Flooding it isn’t what it needs when it droops from heat, and plants can literally drown. Chard is a fast grower. Why not harvest them mid to late spring? Plant something that will be more summer happy, plant chard again in fall when things cool down. Broccoli, on the other hand, depending on the variety, produces side shoots like crazy all summer long! Just be sure to stake them if your plant gets large and top heavy! And feed it now and then. It’s working hard. Mulch brocs you intend to keep, deeply starting now while it’s still cool to keep them cool. Brocs are naturally a winter plant. Or encircle them with quick growing shallow rooted living mulch plants – lettuce (repels Cabbage butterfly), beets, etc. that won’t interfere with your broccoli’s roots. When you harvest those quick growers, when you have access to the soil, feed your broc, and plant more living mulch! Tall: Indeterminate tomatoes in cages, pole beans in cages or on trellises. Basil is great with tomatoes, and a pack of culinary dandelions! Tall varieties of broccoli you keep for summer side shoots. Cucumbers are great on the trellis below the beans. Middle height: Determinate tomatoes, bush beans, okra, tall peppers like Big Jim Anaheim or Poblanos, zucchini. White potatoes with Zucchini to repel squash bugs. Radish with cukes and squashes to repel cucumber beetles, with cukes, squashes and eggplant to trap flea beetles! Large Winter Squash vines and pumpkins are middle height, while some mini melons would fall to the lower mid height zone. Put in zucchini and vines, sweet potatoes, to take up space if you don’t want to do a lot of tending, but do know, you must keep those zucchini picked! If your zucchini is dense, and you miss seeing it, an unpicked zuke can become a 6″ diameter 2′ long monster in as little as 5 days! Lower plants like eggplant, like a lot of heat. Put them on the sunny side, slightly in front of every other slightly taller plant. Leave a couple kale that will get taller. But, if they are leafless stalks with pom pom tops, they aren’t going to give any shade, so they could be left anywhere actually. Since they are a winter plant, mulch them deeply or plant lettuces or leafy plants around their base as a living mulch and keep the soil there moist and cooler, and feed them. Or grow the heat tolerant flat leaf kale like Thousand Headed Kale! It has many growing points instead of just one and self mulches! Shorties & Littles: A lot of shorties will be in front of or the understory of taller plants, in some instances a living mulch, so there is no need to allocate, use up separate space just for them. Your plants all help each other. When the bigger plant leaves start shading out the littles below, harvest strategic large lower leaves to allow light and airflow. Put beets and carrots in the short zone, as an understory, between and among big plants. Bunch onions away from beans, great with other short rooted plants like lettuces that need to be kept moist. Summer small bulbed variety radishes give a great spike of hot flavor to a cool summer salad! Some delicious mini melons are quite small leaved and low to the ground, are easily trellised though it is cooler up on that trellis…. Flowers & Seeds! Let arugula, cilantro, chamomile, a carrot or two, and a celery go to flower to bring bees, butterflies and beneficial insects – pollinators! Besides being beautiful and having lovely scents, let them seed out for seeds for next year’s plantings, to share at the seed swap, give as gifts! Carrots love being with cilantro and chamomile, and chamomile improves the flavor of any neighboring herb! While you are thinking where to put things, select permanent spots for herbs, gateway points for flowers and edible flowers! Designate a permanent patch for year round flower habitat for bees. Cilantro is both tasty and has lovely feathery leaves and flowers in breeze, great pollinator food. Chamomile is downright heady scented on a warm morning. Comfrey, Knitbone, is both healing (arthritis/bones) and speeds your compost, is high in soil nutrition. Poppies are beautiful; humble white Sweet Alyssum is dainty and attracts beneficial insects. Calendula traps aphids, whiteflies, and thrips! Marigolds are brilliant and called the workhorse of pest deterrents! Cosmos is cosmic! See Stripes of Wildflowers! Finish your Summer Gardening preparations! Waffle Garden, basins & windbreaks, Water Garden. Excellent drought choices. Add compost, only 5 to 10%, & other amendments to your soil all at the same time. Add well aged manure as appropriate. Less in spring because you want fruit production, not leaf, unless it is a plant grown for its leaves, like lettuce, kale or cabbage! None for carrots, peas or beans. Add 25% worm castings. As little as 10% works. They are potent, help with seedling germination, boost immunities to disease. Adding Jamaican guano high in P, Phosphorus, at planting time helps your plants continue to bloom LATE in the season! Its NPK ratio is 1-10-0.2, takes 4 months to become available to your plants. Sprinkle with a tad of coffee grounds to reduce wilts fungi. Add only a ½ a % to your soil or compost. A tiny bit goes a long way! Don’t cover with mulch yet unless you need it for erosion control. Covered soil is cooler. Let your winter cool soil warm up. The exceptions are broccoli, cabbage, chard, and kale! Mulch ASAP because they like/need cooler soil. Water your prepped areas when you water your other veggies. Soil organisms need moist soil to live. Sidedressing! Hard working plants need fuel and water. As broccoli starts to head, give it a fish/kelp tonic! After the main head is cut, your side shoots will flourish! Pests Reminders and Home Remedies! Before you put in seeds, sprinkle a bit of Sluggo type stuff around immediately to keep snails and slugs from vanishing upcoming seedlings overnight, making you think they never came up! No, they didn’t let you down. Killing off the creatures ahead of time saves the babies. It stops new transplants from being seriously damaged or entirely eaten while they are small. Do this a few times, to knock off the generations, and there will be no tiny vegetarian predators for a while. Pull away those blotchy sections the leafminers make on chard and beet leaves. Remove whole leaves that are too funky for rescue. Harvest the bigger outer lower leaves more often to stay ahead of the miners. Water a tad less so leaves are less soft and inviting. Hose APHIDS off chard, kale, brocs, cabbages. Keep doing it for a few days to catch the ones you missed and new generations. Nearby, plant Calendula as a trap plant, radish to repel them. When you see unnaturally curled leaves, you will likely find aphids. Check both upper and undersides of the leaves and the tiny leaves at the central growth point.For hard to get at places, down the centers of chard, crinkly kale leaves, get out that spray bottle! Treat once, wait a couple days, treat the ones that got away and newborns.I tried it, it WORKS! The simplest is to spray with 2 Parts alcohol, 2 parts water, 1 part soap. DO NOT use on seedlings, it will kill some of them. Spritz lightly rather than drenching or you may kill your bigger plant too! However. If the infestation is just over the top, with chard you can cut off the whole plant about 1 1/2″ above ground and simply let it regrow, though it may never be as healthy or lush as a newly grown plant. Sometimes it’s just better to start over, and not in the same place. Hose away any reappearing or lingering aphids post haste! Check out the ant situation. Regularly remove any yellowing leaves that attract whiteflies. Gophers You can still put in wire protective baskets or barriers, especially now while the soil is softer after any rains. If you see a fresh mound, trap immediately. Prevention A frustrating typical disease is Powdery mildew. It’s common on Curly Leaf kales, squashes, beans. Plant leaving plenty of space for air circulation. Apply your baking soda mix. Drench under and upper sides of the foliage of young plants to get them off to a great start! Do this the same or next day if transplanting. A super combo is 1 regular Aspirin dissolved, a 1/4 cup nonfat powdered milk, heaping tablespoon of baking soda, a half teaspoon liquid dish soap per gallon/watering can. Reapply every 10 days or so, and after significant rains. Not only is prevention so much better than after mildew has set in, but this mix stimulates your plant’s growth! See Aspirin Solution. Do not compost diseased or infested leaves or plants. Thin any plants you intentionally over plant – carrots, beets, turnips, kale, chard, mustard. If you planted too close together, take out the shorter, weaker plants. They are all great in your salads along with small tender Brassica leaves. Watering & Weeding Wind and sun dry soil quickly and short rooted plants like peas, or seedlings, need to be kept evenly moist. Dust Mulching, cultivation, is perfect to break up the soil surface, especially after a rain! That keeps the water from wicking to the surface and evaporating. If you use a hula hoe you do two things at once! Just a half to one inch depth cuts off weed sprouts. Indeed, it turns the soil a tad, all that’s needed. More weeds will follow, but it’s quick and easy to repeat the process. Two, three times, a few days apart, and there will be little weeds after that for a while. Get ’em while they are small and easy to do. Smart gardening. When grass has those frilly little green tops, it is blooming and seeding! Remove it ASAP. Better yet is to remove weeds before they seed! If at the seeding stage, gently pull, don’t shake the soil loose from the roots and spread seeds all over, if possible, and don’t put them in your compost! Keep COMPOSTING! Soil building is the single-most important thing you can do for your garden. Compost keeps your soil aerated, has great water holding capacity, feeds just perfectly! And if you made it, you know what’s in it! Make it HOT, Cold, or In place! Dry is dead, so be sure it is always slightly moist. Giving back to Mama Earth is nature’s natural way! And, like Will Allen says ….there is something very Spiritual about touching the soil, that’s where life begins. The good work you do now will pay off with abundant summer harvests! Oh, and see more in February’s Newsletter, especially about Tomatoes! Here in Santa Barbara many February days have been frosty cold and rainy, with more rain to come! If you are in a rainy area, remember, if the soil sticks to your shovel, wait a little longer to till. Enjoy these images from two of Santa Barbara’s Community Gardens! See the entire March 2019 GBC Newsletter! March Planting, Thoughtful Garden Design & Choices! Clever Seed Planting Tips Indoors or Out! How to Transplant for Super Successful Returns! Upcoming Gardener Events! Mesa Harmony Plant Sale/Straw Bale Workshop, Santa Barbara Botanic Garden Spring SALE! 49th Annual EARTH DAY Santa Barbara! 2020 International Permaculture Conference Argentina! March Planting, Thoughtful Garden Design & Perfect Veggie Choices! Recent Santa Barbara temps have been close to freezing, a few plants lost. Day lengths are still short. We want Night air temps steadily above 50 and soil temps 60 to 65 for starting our plants well. Peppers, especially need these warmer temps. They do best with nighttime temps above 55°F and soil temps above 65°F. Average March night temps are in the mid 40s. The soil temp now is 51-53°F at Rancheria Community Garden. PLANT PLANTS THAT REPEL PESTS IN ADVANCE SO THEY WILL BE UP AND WORKING WHEN YOUR SEEDLINGS COME UP OR YOU INSTALL YOUR TRANSPLANTS! Beans, Cukes, Dill, RADISH Combo! Depending on ground temps, tuck in some bean seeds where the peas are finishing, intermingled with cucumber seeds that will grow low along the trellis, below the beans, plus a few dill to go with the cukes! See more for bean/cuke planting tips. Plant radishes with the cukes to deter the Cucumber beetles. While you are thinking where to put things, select permanent spots for herbs, gateway points for flowers and edible flowers! Designate a permanent patch for year round flower habitat for bees. Cilantro is both tasty and has lovely feathery leaves and flowers in breeze, great bee food. Chamomile is downright heady scented on a warm morning. Comfrey, Knitbone, is both healing (arthritis/bones) and speeds your compost, is high in soil nutrition. Poppies are beautiful; humble white Sweet Alyssum is dainty and attracts beneficial insects. Calendula traps aphids, whiteflies, and thrips! Marigolds are brilliant and called the workhorse of pest deterrents! Cosmos is cosmic! See Stripes of Wildflowers! See the entire March 2018 GBC Newsletter! Clever Seed Planting Tips Indoors or Outdoors! Upcoming Gardener Events! Santa Barbara Botanic Garden Spring SALE! 48th Annual EARTH DAY Santa Barbara! January 2018 Winter Harvests, Planning Your New Year! Lacinato Kale, aka Tuscan, Black or Dinosaur, is a zesty and nutritious grower! No rain in sight, but there are still weeds! Weed, weed, weed! Do it before the roots get bigger and you lose your soil when you pull them out. Weed before taproots get deep and hard to remove. Get those clover roots out all the way down and before grass makes its frilly little seed heads. Remove any weed that is flowering, making seeds soon, first! Anything that is not seeding, healthy and not pest infested, may be cold composted, or you can use them as mulch where there is bare ground not in your garden. January Plantings If you love your winter crops, and aren’t necessarily in a rush to do spring/summer, amend your soil immediately and plant one more round, from transplants if you can get them or the starts you have begun on your own, seeds if you must. See December for tips on what to plant. In cooler January weather, plantings will start slowly, but they will mature faster than usual as days get longer. Most January plantings will be coming in March, April. That’s still in good time for soil preps in April for April/May plantings. In April/May there is less fungi in the soil, so plants that are fungi susceptible get a better start. Plant MORE of these delicious morsels now! Arugula, beets, brocs, Brussels sprouts if you get winter chill, bunch onions, cabbage, carrots, cauliflower, celery, chard, culinary dandelions, garden purslane, kale, kohlrabi, head and leaf lettuces, Mesclun, parsnips, peas, potatoes, radishes – especially daikons, and turnips! For us SoCal gardeners, besides beautiful bareroot roses, this month is bareroot veggies time! They don’t have soil on their roots, so plant immediately or keep them moist! Grape vines; artichokes; short-day (sweet) globe onions; strawberries; cane berries such as raspberries (get low-chill types); low-chill blueberries; and rhubarb, asparagus, and horseradish. Bare root planting is strictly a JANUARY thing. February is too late. Continue to make the most of winter companion planting! Carrots enhance peas, onion family stunts peas. Cilantro enhances Brassicas and repels aphids on them! Lettuce repels Cabbage moths. Onions, leeks and chives help repel the carrot root fly. Carrots thrive when Cilantro, Chamomile, Marigold are planted with them. Companion planting is also a size strategy. Keep planting smaller plants, especially lettuce, on the sunny under sides of Brassicas! Take off a couple lower leaves to more sunlight in. Under Brassicas, plant lettuce from transplants since Brassicas are a bit allelopathic, makes biochemicals that inhibit small seeds like lettuce from germinating. Planting summer crops early isn’t always a gain. Even if the plant lives, some won’t produce fruit until they have enough hours of sun, and for some, warmth including day/night and/or ground temps. And some plants set in too early will never produce. That waiting time for enough sun, enough warmth, interrupts the plant’s natural cycle and the production window is lost. If you take that chance and it doesn’t work, pull and replant. You can use area that becomes open for quick plants, chard, kale, lettuce, spinach, crops grown for their leaves, until it’s the right time to plant heat lovers. These plants can be removed at any time and you still shall have had lush harvests. However, hardly anyone can resist planting early tomatoes! Another strategy is plant your leafies to one side, leaving room to plant your toms where the toms would be planted if the leafy plants weren’t there. Plant tomatoes on the sunny sides of the leafies! Remove lower leaves of taller plants that would shade the transplants. That way you have table food and your heart is happy too! Choose early cold tolerant varieties. Ones with northern names, in SoCal that could be Oregon Spring, or Siberian. Stupice from Czechoslovakia is very early! Bellstar, from Ontario Canada, is larger and earlier than other plum tomatoes. Early Girl is a favorite! And SunGold cherry tomatoes are almost always a winner! Cherry toms are small and will ripen when other tomatoes just stay green for the longest! Summer Garden Design is important right now! You can do diagrams on paper or just give it a good think to see if there are any changes this year, and carry it in your head. That layout is what you need to make your seed list! Seeds from catalogs, seeds from the Jan 28 Seed Swap! Catalogs give you the best selection and of plants your nursery doesn’t carry or isn’t able to get. Check for drought and heat tolerant varieties or look in southern states or world areas that have heat tolerant desert low water needs plants and order up! The seeds of these types may need to be planted deeper and earlier than more local plants for moisture they need. They may mature earlier. Be prepared to do second plantings if needed and use a little water. See Choosing Seeds: Catalogs to Seed Swaps! The Seed Swap is free, fun and random, a good way to try plants you might have never considered, and they are adapted to your area! Bless the birds. If they are bothering your tender plants, cover with netting or wire with small openings, cloches, in such a way you have easy access to weed and harvest. Gophers You can still put in wire protective baskets or barriers, especially now while the soil is softer after the rains though we in Santa Barbara haven’t had any yet. If you see a fresh mound, trap immediately. White flies Flush away, especially under the leaves. They are attracted to yellow, so keep those Brassica yellowing, yellowed leaves removed pronto. Again, a little less water. Leafminers Keep watch on your chard and beet leaves. Pull away those blotchy sections the leafminers make; immediately remove whole leaves that are too funky for rescue. Harvest the bigger outer lower leaves more often to stay ahead of the miners, especially the leaves that touch another plant. Water and feed just a little less to make those leaves less inviting. Plant so mature leaves don’t touch. Rather than row plant, interplant here and there. Slugs, Snails When you put in new transplants, sprinkle a bit of Sluggo type stuff around immediately to keep snails and slugs from seriously damaging or disappearing tiny seedlings or transplants while they are small. Before you anticipate your seedlings coming up, sprinkle some pellets around the plant, along both sides of rows. That keeps the creatures from mowing them overnight, making you think they never came up! Do this a few times, and there will be no tiny vegetarian predators for a while. If you notice tiny children snails, lay down another couple rounds. If you need more robust soil, do something absolutely yummy with it! This is perfect timing to put in some green manure for March & April plantings. Depending on the type of plants you choose for your green manure, allow +/- 3.5 months for the process. If you want the earliest planting time for spring, plant ASAP! See Living Mulch! Put it where you will plant heavy summer feeders – tomatoes, potatoes, eggplants, peppers, chilis, squash, pumpkins, cucumbers, melons, and corn; hungry stalk vegetables like celery, fennel, rhubarb, and artichokes; or continually producing green, leafy vegetables like lettuce, spinach, Swiss chard. Or you can ‘rest’ an area by covering it with a good 6″ to a foot deep of mulch/straw! That will flatten down in no time at all! Simply let the herds of soil organisms do their work over winter. That’s called sheet composting, sheet mulching or composting in place – no turning or having to move it when it’s finished. If you are vermicomposting, have worms, add a few handfuls to speed up and enrich the process. Come spring you will have rich nutritious soil for no work at all! Sidedressing Heavy leaf producers and big bodied Brassicas, may need a feeding now. Heading is your cue to help them along. If they slow down, or just don’t look perky, slip them a liquid feed that quickly waters into the root zone. Stinky fish/kelp is easy for them to uptake in cooler weather. Get your nozzle under low cabbage leaves and feed/water out to the drip line. Lettuces love manures. Compost and manure teas, fish emulsion (when there are no digging predators like skunks), pretty powdered box ferts, are all good. Use ½ the strength of your summer feedings. Slow release is a wise consideration. Worm castings, though not food, work wonders! Also, be careful of ‘too much’ fertilizer, too much water, that makes for an aphid tasty soft plant. That said, another way to get goodness to the roots is push in a spade fork vertically about 6″ or less deep, wiggle it back and forth, remove the fork, pour your foods into the holes, close ’em back up. Soil organisms will get right to work, your plant will stay healthy and be quite productive! It’s a New Year! Some of you will make serious gardening resolutions, others will take it as it comes, one day at a time as usual. But I do recommend you secure your seeds for the year ahead! Some are now less plentiful with droughts and storms, GMO threats, new laws. Recently much needed seed banks, libraries have sprung up. We want to use our seeds with reverence and seed save our best as they adapt to different climate change conditions, assure their goodness for future generations. At Seed Swaps, take only what you need. If many people grow them, there will be more adapted to our localities. Before there were seed shops, seeds were often used as money. They are as precious today as they have always been, maybe even more so. Santa Barbara’s 10th Annual Seed Swap is January 28! The last Saturday of January every year is National Seed Swap Day! Look in your area for an event, and if you don’t find one, collaborate with your local garden club or permaculture group to get one going! Layer up, enjoy these crisp days. Let the wind clear your Spirit, the rain cleanse and soften your Soul. I’m so grateful for having all you garden friends in my life! I love sharing, gardening, learning, being outdoors in all kinds of weather together! Please enjoy some frosty and sometimes smokey (Thomas Fire) December images at Santa Barbara’s Pilgrim Terrace and Rancheria Community Gardens! See the entire January 2018 GBC Newsletter! January Winter Harvests, Planning Your New Year! Love KALE! Beauty, Super Nutrition, Easy to Grow! Living Mulch, Which, When, and Why! Smart Design for Your Spring & Summer Garden, Seed Selection! Upcoming Gardener Events! 3 January La Sumida Nursery events, 2018 Permaculture Design Course, 26th Compost Council Conference, 10th Annual Santa Barbara Seed Swap! December 2017 Winter Garden Harvests! A misty morning at the garden…. I’m so grateful for having all you garden friends in my life! I love sharing, gardening, learning, being outdoors in all kinds of weather together! Happy Holidays and please enjoy some lovely November images! Harvest Brassicas of all sorts! The big ones, broccoli, cauliflower and if you live in a good chill area, Brussels sprouts, have grown big enough now and your earliest varieties are producing handsomely. Harvest your brocs and caulies while the heads are still tight. If you miss that, harvest asap, even the flowers and flower stalks are edible! After you take the main broccoli head, let your plant continue to grow so it will produce smaller side shoots. Some varieties produce large 3 to 4″ mini brocs and later smaller salad size ones right on through summer! Cauliflowers are a one time harvest though you can keep eating the greens. You might choose to pop in some beautiful chard, a potato patch, or quick growing mini cabbages in large open spots that become available. Some cabbages, especially the mini and early varieties, are headed tightly and ready to eat – slaw, steamed, dropped into soups. You can still replant some of them if you love them! Deliciously fresh and nutritious winter heading lettuces, kale, celery, bok choy, cilantro, arugula and all manner of cut and come agains are in! Table onions scallions, chives and leeks can be snipped or cut off about 2″ above the ground and let to grow back 3 to 4 times! Do the same but at about 3″ with cilantro and arugula. Let some of your cilantro and arugula grow out for flowers to bring the bees, seeds for the birds and for you to plant more! Winter brings a lot of tasty Root crops. Winter Cylindra Beets are colorful, and have cut and come again leaves too! Long winter radishes like Daikons are spicey! Carrots are splendid to eat at the garden, share with your pup, bunnies, shred into salads, add to winter soups and stews, slice/chop/stick and freeze for later! Grow some Parsnips too! Turnips have so unique a flavor you might want to eat them separately to just enjoy that flavor. Harvest peas when they get to the size you want them, and be prompt with that harvesting to keep them coming! Plant more rounds if you love peas! Sidedressing is like snacking. Some of your heavy leaf producers and big bodied Brassicas, may need a feeding now and again or just when they start to fruit. If they slow down, or just don’t look perky, slip them a liquid feed out to their dripline. Get your long spouted watering can nozzle under those low cabbage leaves. Lettuces love manures. Compost and manure teas, fish emulsion (when there are no digging predators), powdered box ferts, are all good. Winter feeds need to be easy for your plant to take up. Use ½ the strength of your summer feedings. Slow release is a wise consideration. An excellent way to get feeds to the roots is to push in a spade fork no more than 6″ deep. Push it in vertically (so as not to break the main tap roots), wiggle it back and forth just a bit, remove the fork, pour your foods into the holes, close ’em back up. Soil organisms will get right to work, your plant will stay healthy and be quite productive! Worm castings, though not food, work wonders with immunity, soil conditioning and help germination! Mix some in with your liquid feeds you pour around your plant. The exceptions are carrots, peas and favas. Carrots get hairy and will fork with too much food! Over watering or uneven watering makes them split and misshapen. Your peas and favas are busy gathering Nitrogen from the air, feeding themselves. A mini task is to keep covering the shoulders of carrots, beets, radishes, parsnips and turnips. They substantially push right up above ground as they grow. Planting their seeds deeper doesn’t compensate. It’s the nature of the veggie! Never hurts to put a handy little pile of extra soil near where you plant them. Uncovered shoulders look dry, are tough, sometimes bitter, and need peeling before cooking. Uncovered carrot shoulders don’t ripen but stay green, just like exposed parts of potatoes turn green. The green on potatoes is slightly poisonous, but not enough to do harm, but it doesn’t look good. Watering is important even in cool weather. Also, some plants simply like being moist ie chard, lettuce and short rooted peas. No swimming, just moist. Finger check your soil after rains to see if your soil is moist deeply enough. Sometimes it is moistened only 1/4″ deep, needs more water! Also, be careful of too much water, that makes for an aphid tasty soft plant. Watch WEATHER reports in case of freezes, heavy winds, rain. After strong winds check right away to see if any plants have blown over and need staking, roots need covering with soil. See Rainy Day Tactics for Spectacular Veggies! Except for erosion control, in winter, we pull mulch back to let the soil warm up during the short winter days. The only areas we mulch are around lettuces and chard to keep mud splash off the leaves. Also, it’s good to remove pest habitat, let the soil dry a bit between rains to kill off wilts fungi. Bag up, or pile and cover, clean uninfested summer straw, mulches, to use as compost pile layers during winter. Do not keep straw from areas where there have been infestations. When you put in seeds, sprinkle a bit of Sluggo type stuff around immediately to keep snails and slugs from vanishing upcoming seedlings overnight, making you think they never came up! No, they didn’t let you down. Killing off the creatures ahead of time saves the babies. It stops new transplants from being seriously damaged or entirely eaten while they are small. Do this a few times, to knock off the generations, and there will be no tiny vegetarian predators for a while. Don’t lose your crops to birds! Buy pre made covers, or get clever and cover seeded rows with DIY small openings wire tunnels or a patch cover bent that has sides bent to the ground to keep birds from pecking at little leaves or from plucking tiny seedlings right out of the ground! You can also use small plastic bottle sections to make mini sleeves that birds won’t go down into. Or for baby lettuces, make large plastic bottle self watering cloches though wire covers let more light in! Bird netting is inexpensive, tears easily, but is good to stretch over peas on a trellis. Prevention and removal! Keep an eye out for pests and diseases and take quick action! A typical disease is Powdery mildew. Plant leaving plenty of space for air circulation. For mildew apply your baking soda mix. The best combo is 1 regular Aspirin, a 1/4 cup nonfat powdered milk, heaping tablespoon of baking soda, a teaspoon liquid dish soap per gallon/watering can. Drench under and upper sides of the foliage of young plants to get them off to a great start! Do this the same or next day if transplanting. Reapply every 10 days or so, and after significant rains. Prevention is so much better than after mildew has set in. See Aspirin Solution. Hose away aphids and whiteflies, mildew. Remove yellowing Brassica leaves. Yellow attracts whiteflies. In general, plant further apart for air circulation, water and feed just a little less to let those leaves harden up a bit. Soft fat leaves are an invitation to aphids and mildew! Chard and beets gets Leafminers. Where they have eaten looks terrible but the good part of the leaves is perfectly safe to eat. Plant chard so mature leaves don’t touch, remove infested leaves immediately to reduce spread! Beets are not a permanent crop, so they are planted closely. Simply harvest them at their leaves’ prime – ahead of the Leafminers. Windy days are prime time to gather leaves to add to compost or process for Leaf Mold, Mulch or Compost! Leaf Mold is low in nutrients, but makes a superb soil improver, conditioner for vegetable and flower beds. Leaf mulch is free for the making! Leaf Compost processes faster when made the right way! See more! Per square foot, fast growing cut-and-come-again Lettuce, Chard and Kale are by far the top winter producers! Plant more big plants like brocs and cauliflower, but remember, with cooler weather, they will grow more slowly. That may interfere with early spring plantings in March because you will need time to let added compost, manures, worm castings and Sphagnum peat moss (increases water holding capacity) become part of the soil organism community. If you do plant them, better to get transplants if you can, and shave six weeks of their needed gowing time to maturity. Select faster maturing varieties now. As lettuces tire, and other plants like carrots and beets are removed, add more of them and any ‘littles’ you love on the sunny side and between the big plants. If they need more sun, remove large lower leaves of the big plants. Mild tasting littles include bok choy, kohlrabi, garden purslane, arugula, mizuna, watercress, young parsnips and turnips, Daikon winter radishes, and Napa cabbage. Otherwise, go for those dark green kales, mustard, rutabaga and turnip greens! Try some culinary dandelions for super nutrition! These are plants that will take you through February, March and leave enough time to add compost and to let sit until major spring planting begins in April. Believe me, you are going to get spring planting fever along about March, so plan ahead for it!!! Start seeds the first three weeks of January for early March plantings! Choose varieties that are cold tolerant and are early maturers for the soonest table eats! If you have enough seeds, over planting is fair game! Thin your beets, carrots, chard, kale, mustard, turnips. Take out the smaller, weaker plants. They are great in your salads along with small tender Brassica leaves. Plant patches of Mizuna and mow it! Carrots thrive when Cilantro, Chamomile, Marigold are planted with them. Onions, leeks and chives help repel the carrot root fly. But remember you can’t put the onion family near peas! Cilantro enhances Brassicas – broccoli, cauliflower, Brussels Sprouts, kale and repels aphids on them! Besides beautiful bareroot roses, decide now where you will be buying any January bareroot veggies you want! Consider: grape vines; artichokes; short-day (sweet) globe onions; strawberries; cane berries such as raspberries (get low-chill types); low-chill blueberries; and rhubarb (be cautious where you plant it, it can be poisonous to humans – children, dogs and chickens), asparagus, and horseradish. Artichoke pups need 3’ to 4’ space, 6′ is more a reality! They are hefty growers and live 10 years! If you keep them watered, and there is enough space, they are a great street strip plant! Seeds for Spring & Summer planting! Perfect time to sit with seed catalogs, do online research. Get your summer garden layout in mind. First choose what is good for your excellent health! Next might be how much plant you get per square foot if you have limited space and want to feed several people. Since we are in drought conditions, water could be a strong consideration ~ choose heat and drought tolerant varieties. Get some early varieties, for earliest harvests along with later maturing varieties for a continuous table supply. Earlier variety fruits are generally smaller, but Yum! Cherry tomatoes come in first. Place your order for the entire year, while seeds are still available. The Santa Barbara Seed Swap is Jan 29, very soon! Get your seeds ready to share, and prepare your ‘shopping’ list! Summer Lettuce Varieties: In summer you want a stronger lettuce, heat tolerant & slow bolting! Lettuce Leaf Red Sails is a beauty. Jericho Romaine from Israel has become the classic summer romaine for warm regions. Sierra, Nevada. Parris Island is slow bolting. Green Towers Romaine tolerates moderate summer heat and has some resistance to tip burn and bolting. Black Seeded Simpson. And there are more – try several! Definitely start building compost for spring planting. You could plant green manure where you will grow heavy summer feeders like tomatoes, potatoes, eggplants, peppers, chilis, squash, pumpkins, cucumbers, melons, and corn; hungry stalk vegetables like celery, fennel, rhubarb, and artichokes; or continually producing green, leafy vegetables like lettuce, spinach, Swiss chard, strawberries. Or plant it if you want a break! Just lay in some green manure seed mix – vetch, bell beans, Austrian peas and oats. In Santa Barbara area get the mix and inoculant at Island Seed & Feed. Let it grow two to three months to bloom stage, chop down, chop up and turn under, let sit two weeks to two months. Your choice. Let the herds of soil organisms do their work! I usually do about 3 weeks. Or, lay on as many layers of compost material as you can get for an up to 18″ deep area where you will be planting. Put in some surface feeding red wiggler worms. The BEST soil enhancer! BEE FOOD! Plant wildflowers now from seed for early spring flowers! Germination in cooler weather takes longer, so don’t let the bed dry out. Wonderful Gardener Style Holiday Gifts! Please be generous with your time these holidays. Rather than just serving food, maybe show someone how to grow veggies, give them seeds with instructions, give them and the kids a tour of your garden – eat carrots together! See the entire November 2017 GBC Newsletter! Salanova® Lettuces! Super Production per Space! It’s the Season for Leaf Mold, Mulch or Compost! Selecting the Right Seeds for Your Annual Plantings! Upcoming Gardener Events! 3 January La Sumida Nursery events, 10th Annual Santa Barbara Seed Swap! October! Final Summer Harvests, Seed Processing, Glorious Fall Planting! Brassicas are the winter garden mainstay! Broccoli is the favorite Brassica and rightfully so per the nutrition it offers. Plants differ in size, head color and shapes, how heat tolerant they are if you intend to let them over summer, and side shoot production. To get value for the room Brocs take up, a lot of gardeners seek varieties that produce a lot of side shoots after the main head is taken. Some newer varieties are already producing side shoots before the main head is taken! These smaller heads are great steamed if large, or tossed with your salad if small. Do as you wish! Research has shown there are less aphids when you plant different varieties of brocs together! Probably true for other large Brassicas as well. More! Kale has been a recent have-to-have! Eat young leaves fresh in salads. Steam with other veggies over rice. High in Vitamin A and anti cancer properties! Lovely varieties – green or purple, flat or curly leaves. They just keep growing. They are technically a biennial, 2 year plant. The first year is for production, the second they make seeds. But. In SoCal they over winter several years. Or if we have exceptionally hot weather, they may bolt and make seeds the first year! You can end up with a pom pom style, especially the curly leaf kales. But they lose their verve, look tired and tasteless, rather tortured. A fresh young kale in good soil will easily take up a 3′ footprint and produce thick tender vibrant leaves like crazy! What a difference. I hope you start fresh ones each year. They grow so quickly. You won’t lose any harvest time if you plant a baby at the base of the old one, then take the old one down when you are getting those sweet young leaves from the baby. I’ll bet you forgot how good they can really taste! Just be sure to work in some good compost so it can be strong and keep producing well. More! Cauliflower now comes in the standard white, also green, orange and purple! The disadvantage is there is only one head and that’s it, though as with any Brassica, the leaves are edible. Like Collard greens. Cabbage is more dense for the dollar than Cauliflower though it too has only one head and takes a long time to grow – even the mini varieties! But what a feast! A cabbage head is amazing and you can fix it so many ways. Shred in salad, coleslaw, steamed, cabbage soup – Borscht, stir fried, cabbage rolls, cabbage kimchi, in tacos, as sauerkraut! Or try a traditional Irish dish, colcannon, a mixture of mashed potatoes, cabbage or kale, onions, and spices. YUM! There are many cabbage varieties as well – ‘white,’ red or green. Different sizes, and I do mean different. There are 4 to 6″ minis for container gardens, sooner eating or you just don’t need a huge cabbage. Easily more than a foot in diameter monsters! First they grow loose, then they fill in and make hard dense heads. An amazing plant! While your cabbages are putting on size, plant lettuces among them and other Brassicas. Lettuce repels cabbage moths. More! Brussels Sprouts are charming. They like a colder climate to make big sprouts. In Santa Barbara SoCal area you need to be prepared to harvest lots of small ones. All these big Brassicas need feeding from time to time because they are big, and most of them are continuously producing leaf crops! They are all susceptible to Mildew. Try for resistant varieties. Water in the morning when possible so they can dry by evening. A good reason not to over water or fertilize is aphids and whiteflies! They like softer plants. Use plenty of worm castings, as much as possible in their soil – as much as 25% if you can! Plant your Brassicas far enough apart, leaves not touching, for airflow when they are mature, so pests and diseases don’t easily spread plant to plant. Brassicas are generally frost tolerant, even a bit freeze tolerant, and it is said their flavor improves! Cilantro is their best companion! If you like the scent, winter, early spring are good times for cilantro. It doesn’t bolt so fast. Summer it bolts, winters it will freeze, so replants go with the territory. Cilantro makes brocs grow REALLY well, bigger, fuller, greener! ENJOY LOTS OF SMALL BRASSICAS! For salads arugula, bok choi, kohlrabi, mizuna, mustard, tatsoi, peppery sweet alyssum! Root crops are Daikon and White Icicle, pretty China Rose and handsome Long Black Spanish radish, turnips, rutabagas! Grow horseradish for fermenting. Plant these tasty small Brassicas in rows, between, among, around, in patches. A few here, a few there! Be artful and enjoy their many flavors at your winter table! Flat is the same as Chinese or snow peas. String ’em or buy the stringless variety, and eat ’em right then and there or toss a few with your salad, steam or stew in Oriental dishes, add to your stir fry! Shelling or English peas are so delicious fresh out of the pod and might tasty steamed. SNAP peas are the sinful favorite of many. Few make it home from my garden. I just eat them. That’s why you get stringless varieties. Who wants to be picking their teeth at the garden, LOL?! Ok, if some of those snap peas do make it to the kitchen, add them to salads. If you must, lightly steam them, add them to stir fries. They are very tender. 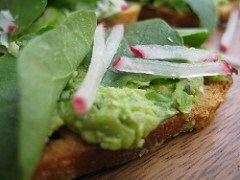 To keep their fresh green look, undercook…. Yellow, green or purple, you can get bush or pole peas! Bush peas come in sooner; pole peas grow tall, so come in later. Soon as your bush peas are done, the pole peas will come in shortly after, making for a steady supply. And the pole peas keep on coming. 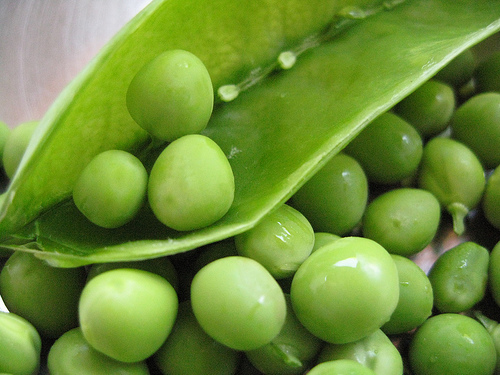 Compared to beans or tomatoes, peas have a shorter life span. And when they are done, they are done. Fertilizing, coaxing, additional water doesn’t help. Successive planting is the answer. Plant once a month or so if you love peas. You do have to keep them picked or, like beans, they stop producing. They have short roots and need to be kept moist. Onion family stunts peas! But carrots enhance peas! Plant carrots around the cage or along the trellis. If you plant carrots on one side of them, water the pea side so the carrots don’t get too much water and split. Peas are the winter legume as beans are the summer legume of your garden! They are the trellis plants of our winter gardens. Put in your trellis first, then plant pole seeds, plus transplants of bush and pole all at the same time for them to come in one after the other. Your bush peas in cages will produce first, then your pole peas, and likely your seeded pole peas will follow in short order. Soon as your peas are done, clip off the plant, leaving the roots with their Nitrogen nodules in the ground to feed your soil. Plant more! If you don’t have marauding birds, presprouting your seed peas makes sense! If you do have birds, cover them with aviary wire. PreSprouting peas is super simple. Paper towel on plate, lay out peas an inch apart, fold the paper towel over them, spritz with clean water, keep them moist. By +/- 5 days they will have sprouted. Get them into the ground, carefully so you don’t break the little roots. Presprouting assures no spots will be empty where a seed didn’t come up and you lose production! See more! You can have a terrific time with beets! They thrive in cooler weather. Many colors! Grow the biggies, Cylindra! Plant them at the same time you plant smaller varieties so you have the littles first, then the biggies! Early Wonder Tall Tops and Dutch Baby Ball are a tasty choices, or red cold hardy Flat of Egypt! Try a yellow like Touchstone Gold! Chard is an elegant super productive winter favorite! Handsome, colorful, really, they are the ‘flowers’ of the winter garden! Superlative nutrition, low calorie, easy to grow! If you want quantity, plant Fordhook Giants! They are wondrous – easily 3′ tall, foot wide leaves when conditions are right for them! Chard can’t be beat for production per square foot. Lettuces thrive in cooler weather too, but do cover them at threatened freezes. Lay down tomato cages, cover, and secure the cover. Remove when the day warms up. Lettuces come in all kinds of shapes and delicious colors. They do best in rich soil, regular moisture. Winter is the cooler time when tender butter leafs and heading varieties do well. Try super dense Salanova! Johnny’s Seeds says: Harvested as fully mature heads, the flavor and texture have more time to develop than traditional baby-leaf lettuces. The unique structure of the core produces a multitude of uniformly sized leaves, harvestable with one simple cut. Salanova is more than 40% higher yielding, has better flavor and texture, and double the shelf life of traditional baby-leaf lettuce, making it an excellent, more economical option. What do you think about all that?! Perfect timing for tasty root crops – beets, turnips, rutabagas, daikon radish. Beets are a double winner because the roots and the leaves are edible. Pick leaves from time to time. When your beets are the size you want, pull them and eat all the leaves and the beets as well! Winter is growing time for long Daikon Radish. And Carrots. Carrots are a dense root, so they take awhile. Plant short varieties like Thumbelina and Little Fingers for sooner eating. Kids love them! At the same time plant longer varieties to eat when the Little Fingers are one. You might enjoy some of the mixed color packs! The longer the carrot, the longer it takes to grow. Look at the seed pack to see how many days it takes to maturity. Of course, you can pull them sooner and smaller. 🙂 Avoid manuring where you know you will be planting carrots – makes them hairy. Steady water supply and not too much or they split. Parsnips, celery and parsley are all in the carrot family and enjoy cool SoCal weather. Celery is in-the-garden edible let alone low calorie! Leeks and bunch onions, but no onion family near peas. If you haven’t planted already…some of you carry your layout plan in your head, others draw and redraw, moving things around until it settles and feels right. Do add a couple new things just for fun! Try another direction. Add some herbs or different edible flowers. Leave a little open space for surprises! Stand back, take a deep breath and ask yourself why you plant what you plant and why you plant the way you do. Anything been tickling the back of your mind you are curious about? More about Designing Your SoCal Winter Veggie Garden! Plant longer maturing larger and taller varieties to the back, shorter early day varieties in front where they will get sun. Put littles on the sunny side of these. Plant your tall plants first, let them get up a bit. Then clip off the lower leaves and plant your littles. Or plant quick rounds of littles between the tall plants. They will be ready to harvest when the big plants would start shading them. A classic combo is lettuces among starting cabbages! Mixes rule! Plant several varieties for maturity at different times and to confuse pests. Pests are attracted at certain stages of maturity. They may bother one plant but leave others entirely alone depending on temps and the pest’s cycle! There are less aphids on broccoli when you plant different varieties together. See Super Fall Veggies Varieties, Smart Companion Plantings! Peas and green manure mixes – legumes and oats, feed and replenish your soil because they take N (Nitrogen) out of the air and deposit it in little nodules on their roots! If an area in your garden needs a pep up, plant it to green manure. Broadcast a seed mix of legumes and oats and let them grow. Bell beans, Austrian peas, vetch and oats from Island Seed & Feed Goleta is an excellent choice. The first three deposit N; the oats have deep roots that bring nutrients up and create soil channels for oxygen, water and soil organisms! Plant it where next summer’s heavy feeders, like tomatoes, will be grown! If you are planning for mid January bareroot strawberry planting, be preparing your strawberry patch now if you are planting to plant green manure! The green manure mix I use takes 2+ months to grow. I chop it down when the bell beans flower. Chop it into bits, add acidic (azalea/camellia) compost, worm castings and turn it all under. It takes two to three weeks to decompose, let the soil organisms restabilize, and be ready to plant. That puts us right at mid January! OR. Strawberry runner daughters can be clipped Oct 10 to 15, stored in the fridge for planting Nov 5ish. Remove any diseased soil where your beds will be; prep your beds with acidic compost like an Azalea mix. Commercial growers replace their plants every year. Some gardeners let them have two years but production tapers off a lot the second year. If you let them have two years, generously replenish the soil between the berries with acidic compost. Last year I laid down boards between the rows where my berries would be planted. The boards keep the soil moist underneath. I planted the berries just far enough apart that they self mulched (shaded the soil). Worked beautifully. I got the idea for the boards from a pallet gardener. Plant in super soil to get a good start! Clean up old piles of stuff, remove old mulches that can harbor overwintering pest eggs and diseases. Then add the best-you-can-get composts, manures, worm castings. In planting holes, toss in a handful of nonfat powdered milk in for immediate uptake as a natural germicide and to boost their immune system. Throw in a handful of bone meal that will decompose for uptake at bloom time. If you have other treats you like to favor your plants with, give them some of that too! Go lightly on incorporating coffee grounds either in your compost or soil. In studies, what was found to work well was coffee grounds at only 0.5 percent of the compost mix. That’s only 1/2 a percent! See more details about soil building! If you have containers, dump that old spent stuff and put in some tasty new mix! Winter Feeding Lettuces like a light feed of chicken manure cultivated in. All the winter plants are heavy producers – lots of leaves, some of those leaves are monsters! Cabbages are packed tight, leaf after leaf! They may need a light feed. Remember, it’s cooler now, so their uptake is slower, so give them liquid feeds of things easy for them to uptake. Fish emulsion (if you don’t have predators) or a tasty tea mix – compost, worm castings, manure (no manure tea for lettuces). Give your berms a check. Restore or add, shift them as needed. Before wind or rain, double check cages and trellises, top heavy plants. Stake them, tie peas to the trellis or cage. Start gathering sheets, light blankets for possible cold weather to come. Keep tomato cages handy. You don’t have to garden this winter! You can cover it deeply with all the mulch materials you can lay your hands on up to 18′ deep. Believe me, it will settle quickly. Let the herds of soil organisms do their work over winter. That’s called sheet composting or composting in place, lasagna gardening – no turning or having to move it when it’s finished. If you are vermicomposting, have worms, add a few handfuls to speed up and enrich the process. Next spring you will have rich nutritious living layers of whole soil for no work at all! Another wise option is to do something Hugelkultur style! Winter watering in drought areas is the same as for summer. Before 10:30 AM, after 4 PM. Watch which way water flows along the leaves. Some plants it flows to the center stem. Some drip water off the leaf tips in a circle around your plant, the dripline. Some go both ways. Make berms just beyond where the mature plant’s water flows. If at the dripline, that’s where the tiny feeder roots take up moisture and nutrients. That’s why they call them feeder roots! If your garden has a low spot, plant your water loving plants – chard, lettuces, spinach, mizuna, mints – there or near a spigot. Prevention Drench young plants, ones you just transplanted, with Aspirin solution to get them off to a great start! Drench your seedlings when they get up a few inches. One regular Aspirin, 1/4 C nonfat powdered milk, 1/2 teaspoon liquid dish soap (surfactant), per gallon of water. Aspirin triggers a defense response and stimulates growth! Powdered milk is a natural germicide and boosts the immune system. Be sure to get under the leaves too! Brassicas, Peas! Lots of ants and on Brassicas, lengthwise curling leaves are the giveaways for aphids, then whiteflies. Aphids carry viruses. Aphids come in fat gray or small black. Avoid over watering and feeding that makes for soft plants, tender leaves that aphids thrive on, and ant habitat. Spray the aphids away, make the ants leave. Get up under those leaves, and fervently but carefully do the tender growth tips. Do it consistently until they don’t come back. Cinnamon is amazing. Ants don’t like it at all, and when you are starting seedlings it prevents molds and damping off. Sprinkle it on the soil in your six pack. Get it in big containers at Smart and Final. Reapply as needed. ASAP remove yellowing leaves that attract whiteflies.If Whiteflies and aphids/ants come along, give them a bath too! Get a good grip on your hose and swoosh them away when you first see them. Be sure to get hideaways under the leaves and in crevices! Chard, Lettuces, Spinach – Slugs and snails are the bane of so many crops, but these especially. Lay down something like Sluggo immediately. Then do it again in a week or so. Kill the parents, kill the children. After about 3 times you rarely need it again anytime soon. Biodiversity In general, avoid row planting where disease and pests wipe the plants out from one to the next to the next. Instead or rows, plant in several different spots. If you can’t help yourself, because your family always planted in rows or that’s the way farm pictures show plantings, remember, this is YOUR garden! Also, leave room so mature plants’ leaves don’t touch. Give them room to breathe, get good big leaves that get plenty of sun and produce lots more big leaves and many big fruits! Stunted crowded rootbound plants just don’t perform as well and are more disease and pest susceptible. Keep up with your maintenance. Weed so seedlings aren’t shaded out or their nutrients used up. If you have lots of seeds, over planting is an age old practice. Plant too, too many, then thin them with tiny pointy scissors, aka harvest the young, and eat ’em! Young radish sprouts, teeny carrots, beets, cilantro, arugula, onions, little Brassicas of all kinds are wonderful in a salad! If they get a little big, steam them or add to stir fries and stews. Another way to do it is plant flats of lettuces, mesclun mixes, and mow them! Tender baby greens! They will grow back 3, 4 times. Have it in the back of your mind what summer plants you will be wanting, where you will plant them. Plant more permanent plants like a broccoli you keep over summer for side shoots (like All Season F1 Hybrid), or a kale that will keep on going, where they will not be shaded out by taller indeterminate summer tomatoes. October is the last of Seed Saving time for most of us. Make notes on how your plants did, which varieties were the most successful. These seeds are adapted to you and your locality. Each year keep your best! Start sorting and labeling seed baggies on coming cooler indoor evenings. Store your keepers in a cool dry place for next year’s plantings. Generously gather seeds for upcoming January Seed Swaps! Santa Barbara’s Seed Swap is January 28! The last Saturday of January every year is National Seed Swap Day! Look in your area for an event, and if you don’t find one, collaborate with your local garden club or permaculture group to get one going! Plant gift plants or bowls or baskets for the holidays! Make Lavender sachets! Take a deep breath of this fine fall weather! See the entire October Garden Newsletter! The Green Bean Connection started as correspondence for the Santa Barbara CA USA Pilgrim Terrace Community Garden. All three of Santa Barbara’s community gardens are very coastal. During late spring/summer we are often in a fog belt/marine layer most years, locally referred to as the May grays, June glooms and August fogusts. Keep that in mind compared to the microclimate niche where your veggie garden is. Bless you for being such a wonderful Earth Steward!